Midwives are hippies. Fact or Myth? You are here: Home / Blog / Midwives are hippies. Fact or Myth? Well… Like many myths, there is a grain of truth in a largely fictional story. Once when I was telling a couple that some piece of false information was myth the dad pointed out that myths are not, technically, false. They are narratives intended to communicate a larger truth – sometimes universal, sometimes culturally specific. I stood corrected. This one is definitely culturally specific. In North America midwifery has many histories. In Ontario, regulated midwifery became what it is today because a group of midwifery consumers and midwives who shared a commitment to issues of social justice and appropriate use of technology collaborated to take on the system and incorporate into the health care options that used to only be available on the fringe. That commitment to social justice and appropriate use of technology has persisted in Ontario midwifery. 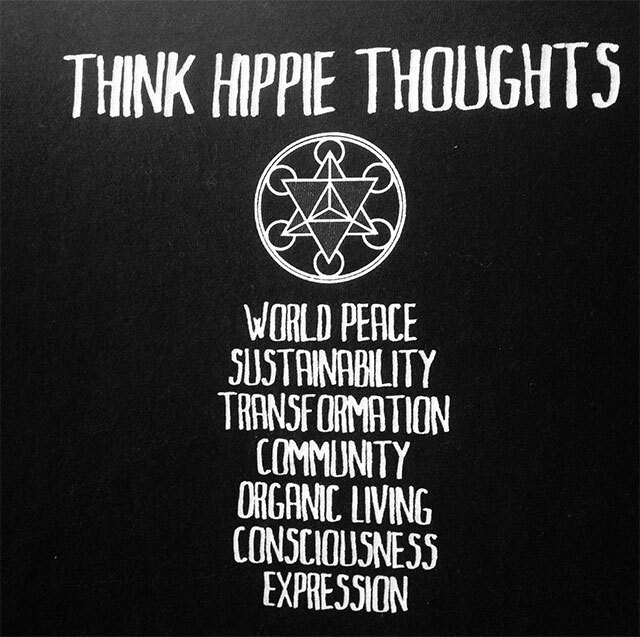 These are definitely hippie values. Hippie values also included sustainable use of resources and creative innovation to reduce consumption of resources. The midwifery model of care is absolutely aligned insofar as health care is concerned. Midwifery in Ontario is focused on preventative care by providing continuity of care and seeing the pregnant person as a whole. This supports early identification of risks or emerging health concerns. Midwives in Ontario support inter-professional and innovative models of care that meets the needs of local populations. Midwives support Ontario Health Minister, Eric Hoskins’ mandate for care in the right place, by the right person at the right time. Maybe Minister Hoskins is a hippie, too? On the other hand, hippies (rightly or wrongly) are associated with a rejection of the system. “Damn the man” type stuff. This does not represent midwives. Some (okay, perhaps many) midwives along with their physician, nursing, economist, governmental, and patient colleagues have a healthy critique of our health care system. However, midwives in Ontario do not hate doctors or reject the health care system. Midwives do not think that doctors are all out to pathologize birth and callously perform c-sections on all people. Midwives are glad that their obstetric colleagues are available when birth gets complicated. We are aware and appreciate that one of the key reasons why out-of-hospital birth with a registered midwife in Ontario is so safe is because we are well integrated into the health care system and we can seamlessly access that system when appropriate. Hippies are also imaged as burn outs who heal with crystals, drums and incense. Sadly, it is commonly thought that midwives have no clinical skills. This one frustrates us to no end. Midwives in Ontario are highly trained health care providers with, to a point, the exact same skills as obstetricians. And we are vividly clear about where our skill set ends and an obstetrician’s skill set begins. We know exactly when to refer when care is outside of our scope of practice. Midwives study pregnancy, birth, postpartum and newborns for four solid years in university and hospital, clinic, community, and home settings. Family physicians, obstetricians, paediatricians and nurses study a whole range of topics. We focus our expertise. This does not mean that other health care providers know less. It does mean that we know our stuff. We know it well. That is why we can be such badasses and provide that excellent care all over the province outside of the hospital setting: in houses without electricity and running water, in rural areas with limited access to emergency services, in the far north, in dense urban complexes, in birth centres, and on and on. Our outcomes are excellent no matter where we find ourselves providing care because we are highly skilled health care providers. But, if a hug and pool of warm water or some aromatherapy is all it takes to prevent the need for us to use our emergency skills then we think that demonstrates the best possible care and a different but valuable additional skill set. It is the combination of both approaches that makes our care so good. – then call me a hippie. I’m okay with it. Genia Stephen is one of the registered midwives at Generations Midwifery Care. You can learn more about her here.